How do I sign up for online services? 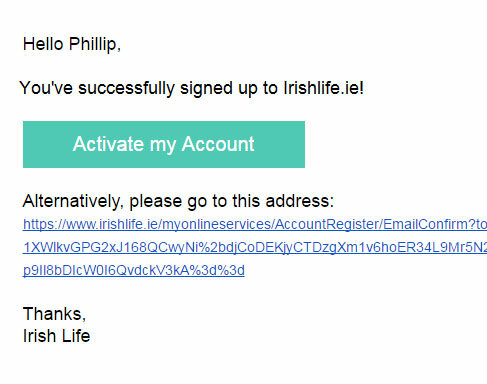 Please watch our quick and simple tutorial video on how to sign up for your Irishlife.ie account. Alternatively, follow the below guide. To get started, click on 'Sign Up'. Enter the requested details and click 'Sign up for free'. An activation email will be issued to your email address with a link to activate the account. Once you have activated your account, you can now add your Irish life plan number to your account. How do I register for an online services account? I am covered on a plan but I can't access my Irishlife.ie.